A2Z End of Lease Cleaning is one of the most reputed end of lease cleaning companies based in Melbourne, Australia. We have cleaned thousands of houses all the way through Melbourne over the years helping leaseholders to get their bond back from their landlords. Are you looking for an expert end of lease cleaner in Melbourne? Do you want an appreciation on how well you have maintained your house before vacating and 100% security deposit back from your Landlord? Then you are at the right place. 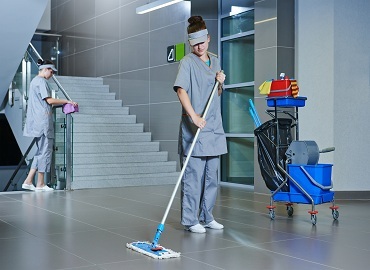 A2Z Cleaners is the best and experienced cleaning agency in Melbourne. We incorporate skilled and experienced professionals who are well versed with the complete process of end of lease cleaning and accomplish the cleaning job efficiently. We are committed to our services and put all our efforts to clean your building until it looks new once again. Being a prestigious end of lease cleaners in Melbourne, we understand our responsibility and put 100% efforts on cleaning. Consequently, you don’t need to face any difficulty to get your 100% security deposit back from the landlord. 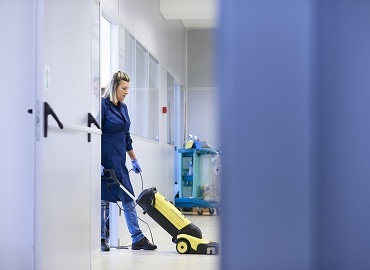 Our efficient cleaning techniques and cutting edge tools not only prove helpful to clean the property but also ensure the highest level of safety which gives you peace of mind. Satisfaction of the client is our top priority, so we offer unmatched end of lease cleaning services in Melbourne at the cheapest price. No matter what the condition of the property is, if you need immediate cleaning services then ring us once, we will be right at your doorstep. Have a glance at some of the services we execute. General Cleaning– Our cleaning services will not disappoint you. We just not only clean the interior but our efficient cleaners also plan to conduct thorough cleaning exterior as well. Bedrooms– We not only clean the bedroom but take effective measures to eliminate unpleasant odours by spraying eco- friendly fragrances. Bathroom- We perform a deep cleaning of bathrooms. Cleaning tiles, mirrors, faucets, toilet seat, doors, windows, etc. are some of the basic bathroom components our cleaning staff deliberately clean. Kitchen- We adopt special precautions while cleaning the kitchen. We clean appliances, cabinets, lights, switches, exhaust vent and other kitchen elements apart from repairing the floor and the walls if required. What makes A2Z End of the lease cleaning special and stand out from the rest of the cleaning agency in Melbourne? The Cheapest Price- We understand the importance of quick end of lease cleaning, so we offer our services at the most affordable price in Melbourne. Quality services- Call us, if you want to see the difference between just cleaning and professional cleaning. No matter what the circumstances are, we never compromise on our quality. Satisfaction of the client- For us, every client is most valuable. So we leave no stone unturned to fulfil client’s expectation. If clients are not satisfied with our services then we are ready to re- clean the property for free this time. We specialise in the end of lease cleaning services and we ensure that you get back 100% return on your bond after the end of lease cleaning in Melbourne. Give us a call. A2Z End of Lease Cleaning is one of the most reputed end of lease cleaning companies based in Melbourne, Australia.